My name is Bree, and I would love to tell your story. 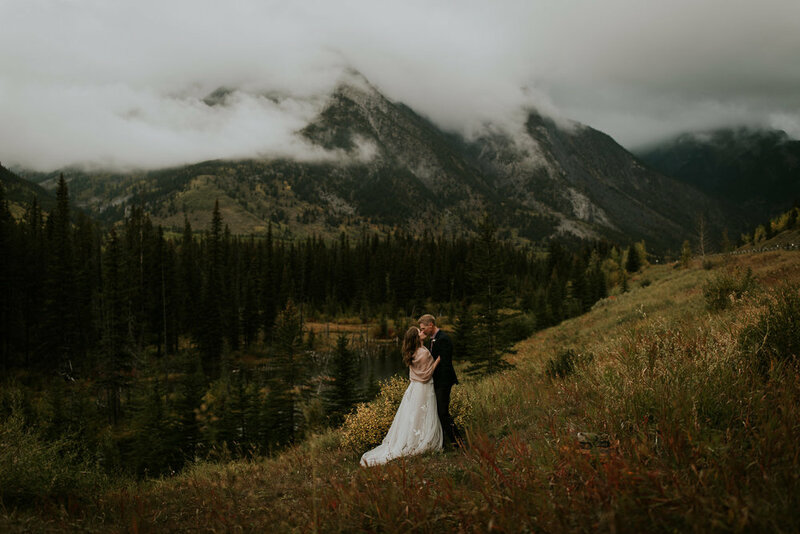 I’m an intimate wedding & destination elopement photographer and a storyteller, currently based in Banff and Calgary, but happy to travel anywhere in the world you might be dreaming of! I spend a lot of time on Vancouver Island in Victoria and Tofino and have photographed weddings in Whistler and New Zealand as well! Traveling is one of my passions but mostly I love getting to know people. I believe in the magic of the universe and I secretly believe that I have a special skill to command the weather ;) So if you are planning an adventurous wedding in an epic and unique destination then I would love to be your photographer & hopefully one of your new best friends! Your story is as unique as you are. This isn't just about photography, its about getting to know each other and capturing your inner light in the best way possible. The couples that I connect best with are free spirited and adventurous. You don’t mind getting your dress dirty or climbing a mountain for that epic photo. You care about our beautiful planet and spend your free time exploring the outdoors or learning something new. Family and friends are an important part of your life but you also appreciate time alone. My favourite couples are those that aren’t afraid to show their love for each other, and they are always able to laugh at themselves. Most importantly, you are an awesome human and you treat people with compassion and love. And you probably love dogs.